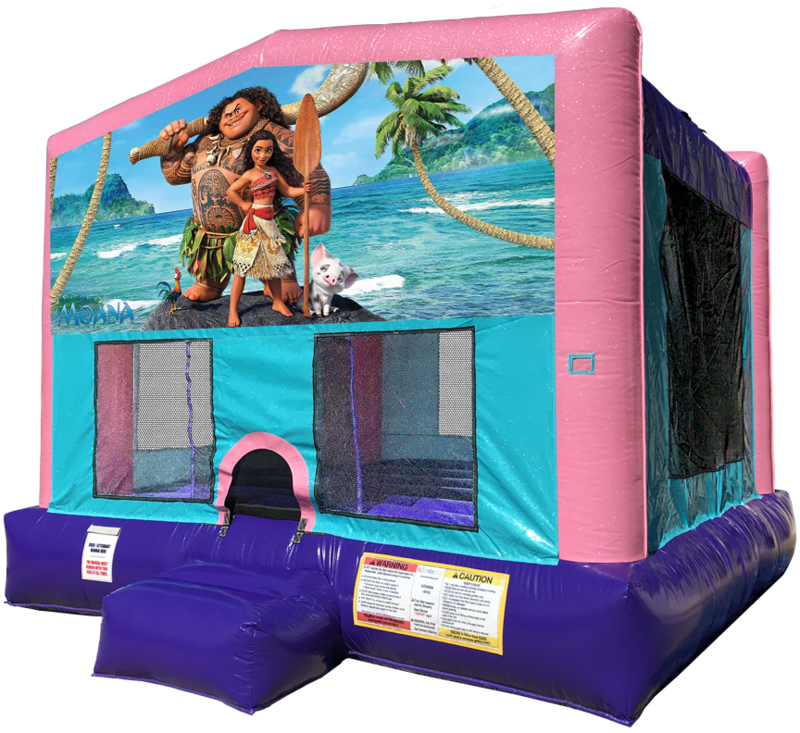 When you want to bring a bit of the island to the party, the Moana Sparkly Pink Bouncer is the way to go! 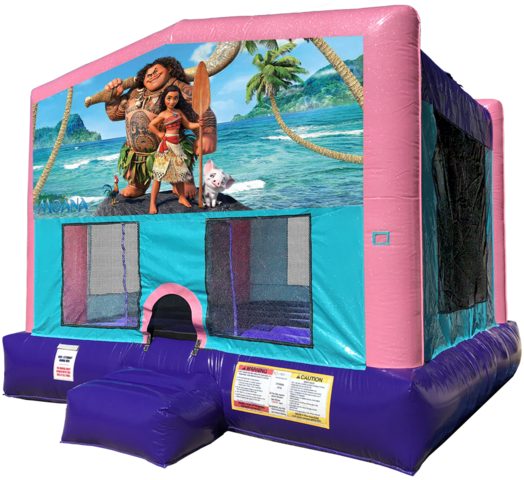 This dazzling bounce house has the latest safety feautures available, such as a front step, knotless netted windows, tension entrance and more. The kids will have a blast while the parents can relax knowing that their children are safe! Need Moana themed plates, napkins and party favors? Click here!